What's going up, down, sideways and a little bit diagonally in the world of furry media. 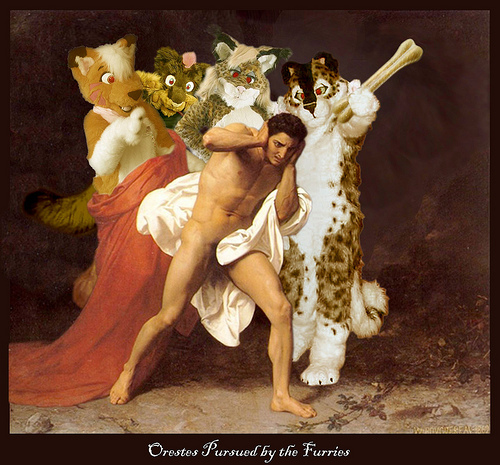 How to remix 19th Century masterpieces, furry style! We drew attention to Bizarre Magazine's coverage of RBW 2008 in the last Media Roundup, now ya can get even more online! The Consumer Electronics Show tends to have some mascots, but are they actually tech-savvy furs in disguise? Remember, just because you dress up as an animal doesn't mean that you can act like one. From furry to feral, animals in Second Life; courtesy of Kotaku.